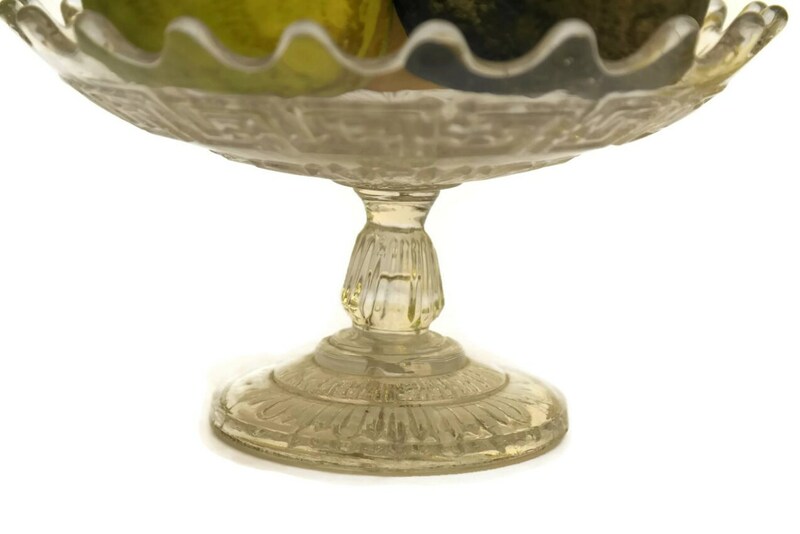 Art Deco Glass Candy Dish. Antique French Compote. 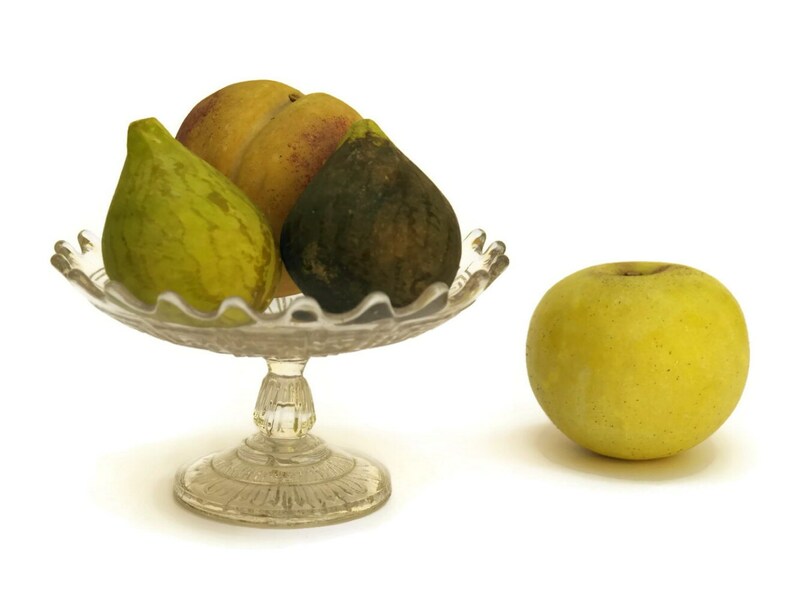 Small Glass Fruit Bowl. 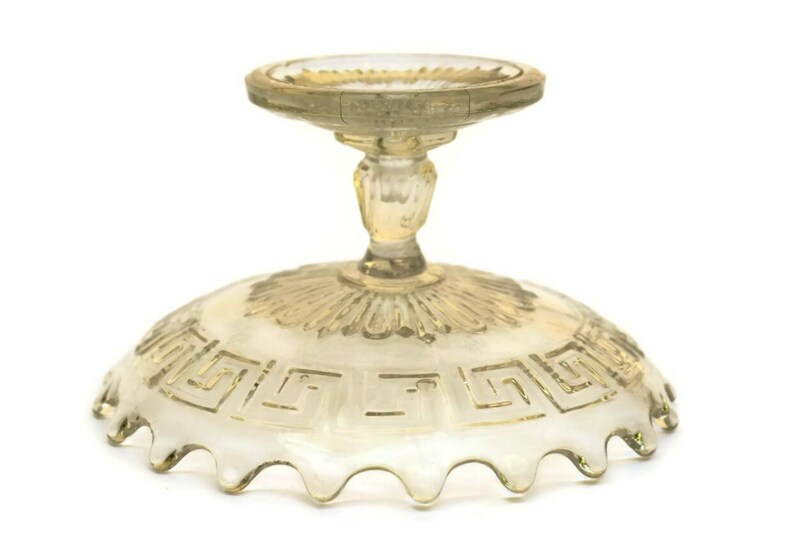 An elegant french Art Deco glass compote dish. 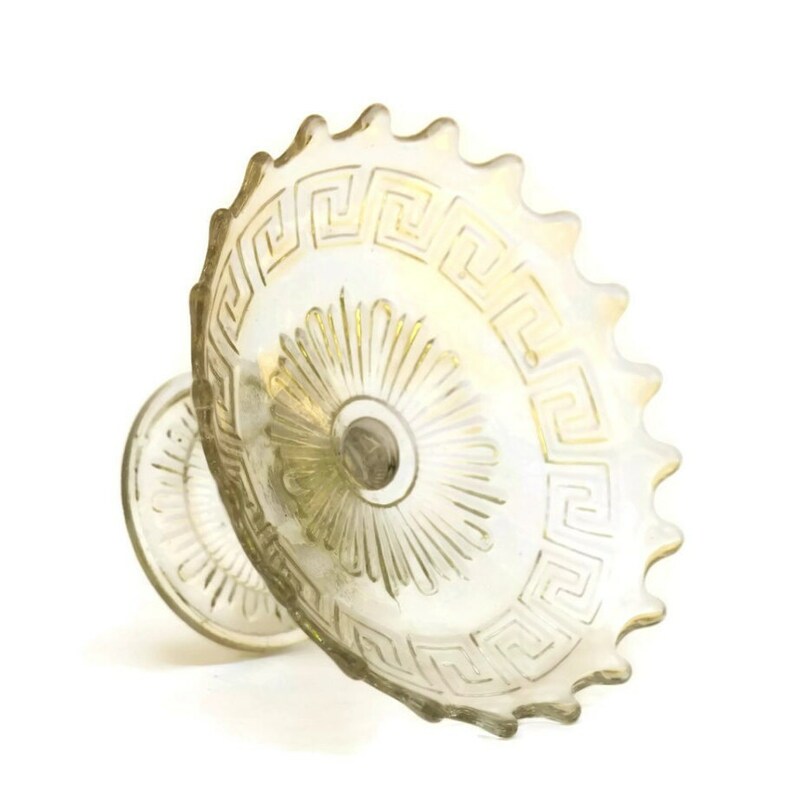 The dish has an undulating rim with a classic Greek key border motif. 3.5" Tall x 6" Wide (9 cm x 15 cm). 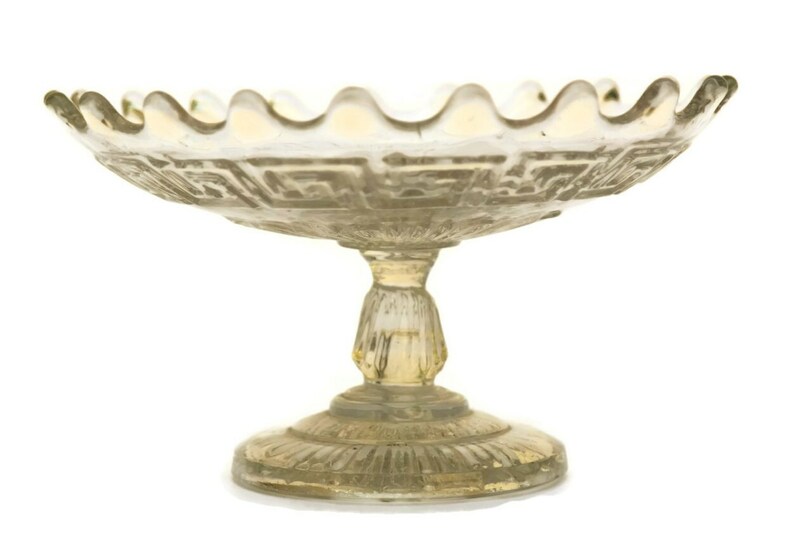 The glass candy dish is in very good condition with no chips or cracks.